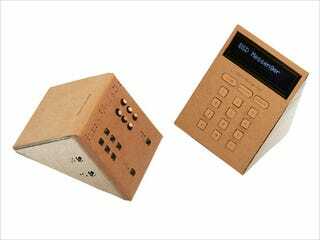 The B&D messenger, designed by Okada Noriaki, bills itself as a way for both blind and deaf people to communicate via text message. Though there are several Braille phone products already in the market, Noriaki device is much smaller in size and pretty inexpensive. On one side of the gadget is twelve points that rise and fall in braille lettering; on the other side is a small LCD screen and a regular numerical touch pad. Users must connect the B&D messenger to a computer for it to receive and translate texts.